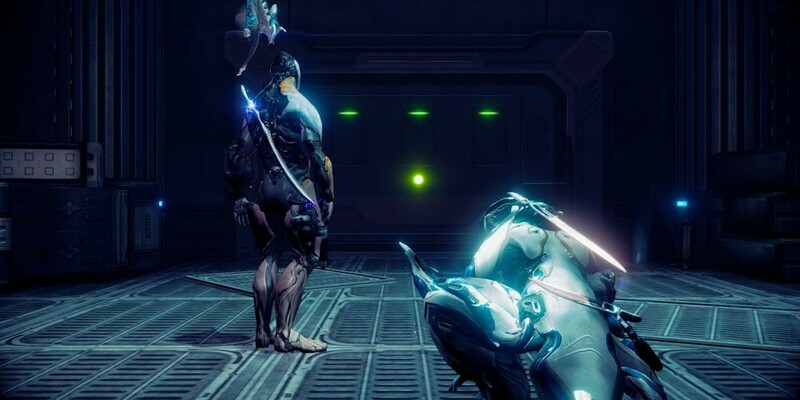 In Warframe you take control of a Tenno, a warrior of the blade. 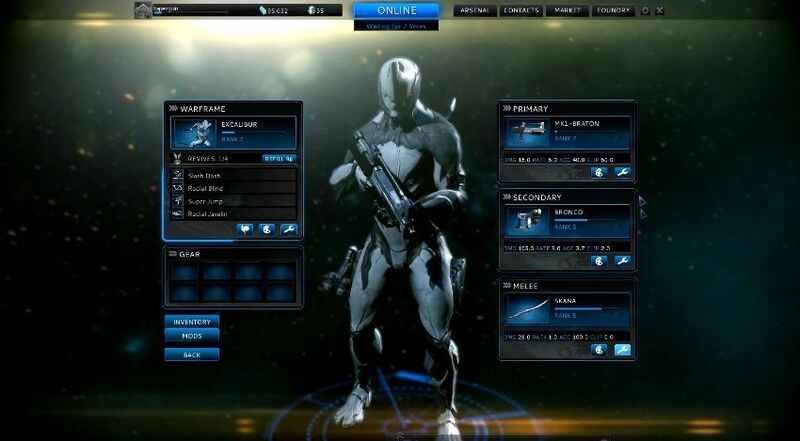 You don one of 14 different Warframes, each with their own look and abilities. I chose the Excalibur, a frame designed for mobility and offense. Jason ended up purchasing a frame called Frost, which offered special abilities based on freezing enemies. The other frames can be crafted by finding raw materials, blue prints, and pieces over time, or they can be purchased outright with platinum. Gameplay in Warframe starts with choosing a mission from a vast star map that expands our solar system. Each planet has a set of missions for you to embark on starting with Mercury. Missions have you infiltrating enemy ships in space or bases on the ground with a variety of objectives like rescuing a captured prisoner, destroying a power core, stealing data, or survive waves of enemies. While you'll follow a mostly linear path to unlock missions there are some side "quests" and you'll find yourself engaged in boss battles at specific branches yielding better drops. The loot system in Warframe varies. There are raw materials that are used to construct swords, guns, and Warframes, and special items that are used to construct more unique weapons. There's also special power ups that can be applied in between missions to modify your weapons, armor, or sentinel. Sentinels are little floating AI companions which you can level and tweak to help you on your way. While the game is a PC title, it does support gamepads and works well with either a keyboard and mouse or the controller. This should help with the accessibility of the space ninja simulator. Graphically things look gorgeous in the game, and though you’ll be seeing the same level multiple times (from multiple paths) - there’s a good variety to keep things interesting. If there’s a downside to the levels themselves it’s the length and the backtracking. The core and highlight of Warframe is without a doubt the combat system. From the very first mission you'll feel like a badass space ninja as you slide, wall run, climb, flip, and of course - slice your way through every level.